This topic contains 0 replies, has 1 voice, and was last updated by Michael Horne 4 years, 11 months ago. 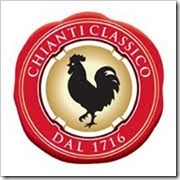 With just 7,000 bottles of Chianti Classico Riserva produced in a typical year, it’s unusual to find this older vintage (as of this writing, the Riserva 2008 has just been released). 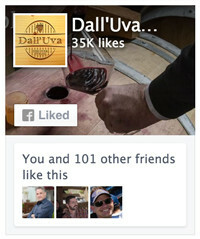 No matter, you can find a few bottles of Ludovica’s wines nestled in wine shops and online for not much money. What you’ll taste: Violets, raspberries and a handful of red currants hit you as you breathe in this Sangiovese classic. This is an aromatic wine, and it follows through on the palate with black cherry, pipe tobacco, and some tartness of rhubarb. There’s a hint of smoke on the finish, and a very distinctive and pleasant minerality of crushed gravel (go with me on this). 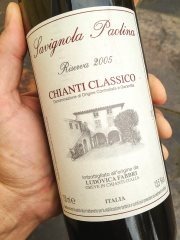 Some Chianti wines tend to be a bit thin, but this is medium- to full-bodied with the characteristic acidity you expect in a Sangiovese wine. Two thumbs up. 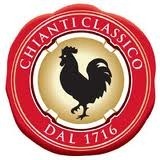 What to eat with this: Chianti Classico has tried-and-true pairings with game meats, grilled steaks (think Bistecca Fiorentina), sausages, pasta with bolognese ragu — anything with a little fat in it will pair well. How much & where to find it: Savignola Paolina is a tiny producer, so you’ll have to hunt a bit for this one. There are a few Riserva 2005 bottles still around in wine shops and online for $20-30, but if you can’t find it, pick up a bottle of Ludovica’s other vintages. Her 2006 Riserva also shows well, and the 2008 should arrive in stores soon. 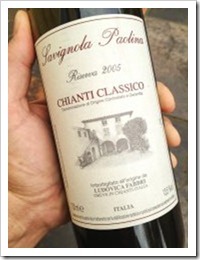 If you can’t find a Riserva, check out her Chianti Classico normale — you’ll get the baby brother vino for $5-10 cheaper. Visiting them: Savignola Paolina will let you taste their latest vintage and take a few bottles home with you at their cantina in Chianti, just book an appoitnment for a tasting visit. Contact them at +39.055.854.6036, or email them at info@savignolapaolina.it. 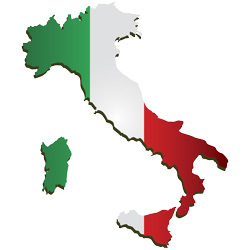 Cantina address: They’re just south of the Chianti wine town Greve in Chianti, located at Via Petriolo 58, Greve in Chianti, Italy. Website: Ludovica has a nice website at savignolapaolina.it, check it out.